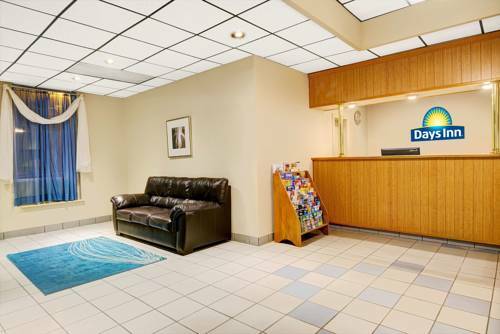 Experience value at our recently renovated Days Inn Southington hotel. Conveniently located off Exit 32 on Interstate 84, our Southington, CT, hotel near Mount Southington is just minutes from shopping, restaurants, businesses and great New England attractions. Hartford is only 10 miles away while Waterbury is just 20 minutes from our hotel. New York City is a mere two hour drive. Start each morning with a complimentary Daybreak Hot Breakfast. Our pet-friendly Southington, CT, hotel offers everything you need for a revitalizing stay, including an on-site exercise room, nearby restaurant, meeting space for up to 40 people available after 9 am and a 24-hour business center. Free Wi-Fi Internet access makes it easy to connect to the home or office from the work desk in your room and non-smoking rooms are available. Micro/fridge and cribs available for 10.00 USD per day Must be 21 years of age with State Issued Photo ID to rent a room. Hotel accepts dogs only. Dogs are not to be left in rooms for extended periods of time while guests are away from the room. Maximum of 2 dogs per room.